This helpful hedgehog can hold your cards! This spiky friend is a great companion for your office or home desk. 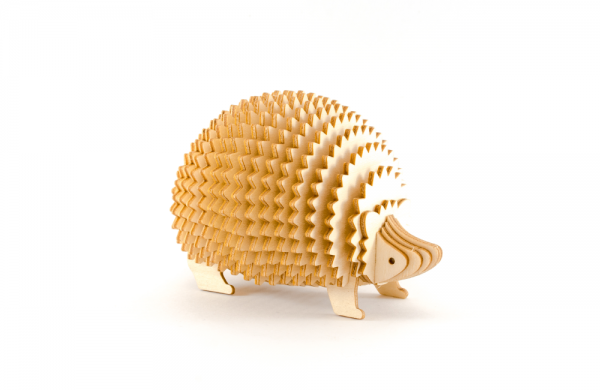 The Ki-Gu-Mi Hedgehog has a clever design that utilises the space between panels to hold business cards, letters, memos and more! Ki-Gu-Mi fun fact: Unlike porcupine quills, Hedgehog spikes are not barbed or poisonous. Instead, they are mostly hollow inside. These quills are made of keratin, the same thing human hair is made of!